All these terms describe the appearance of tangentially cut grain orientation, of the wear layer. This type of slicing or cutting of the log or flitch produces a very wild and flowery grain which is very attractive in most species of hardwood. 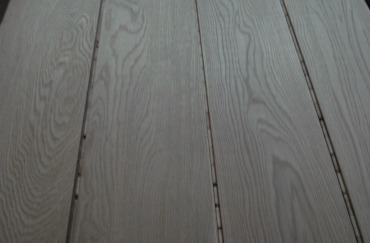 Most American White Oak and other hardwoods are sawn in a (cost effective) manner resulting in this grain orientation.